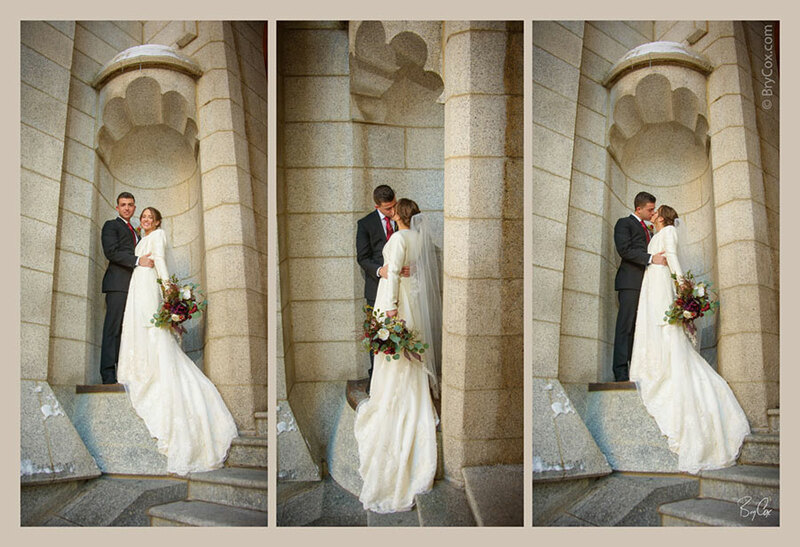 One of my favorite things about photographing a wedding is delivering the final album to the couple. 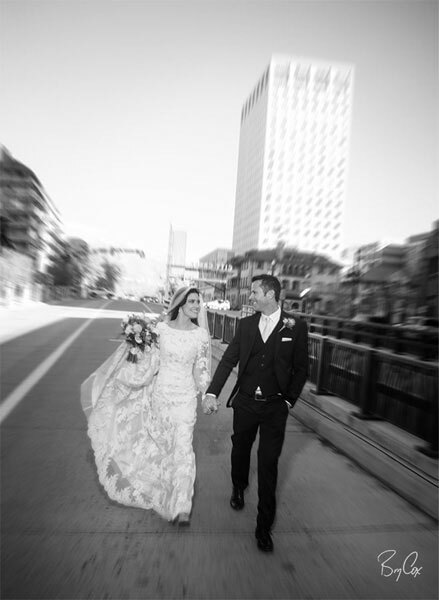 A wedding requires a lot of prep time, a jam-packed day and night of shooting the event artistically, and then quite a bit of time afterwards to design and produce one of my award-winning albums. 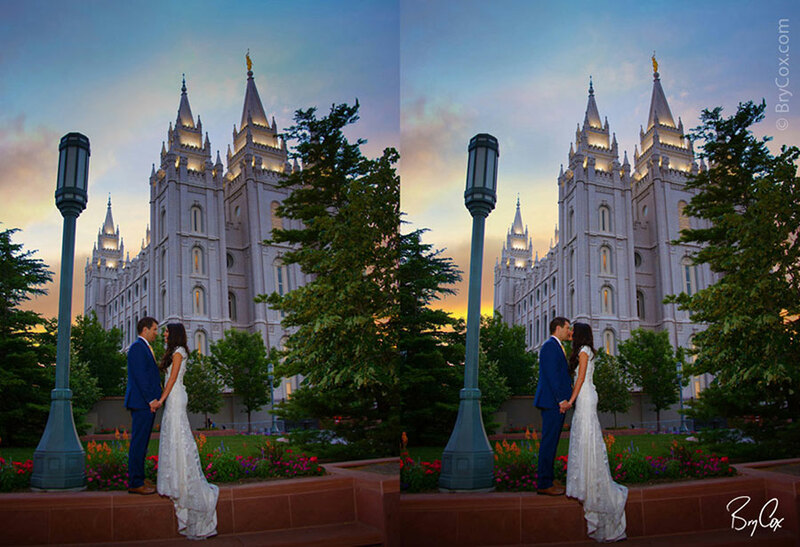 During this entire process, I am thinking about how the end product will look, I’m designing it all, and when I finally see it finished, I can’t wait for the wedding couple to see it and enjoy it. 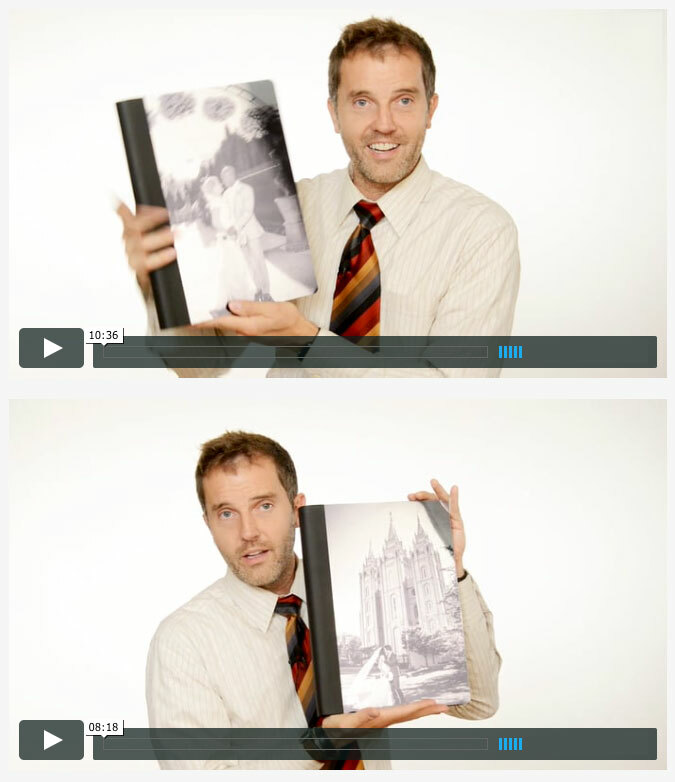 Delivering it personally is part of my pay artistically. 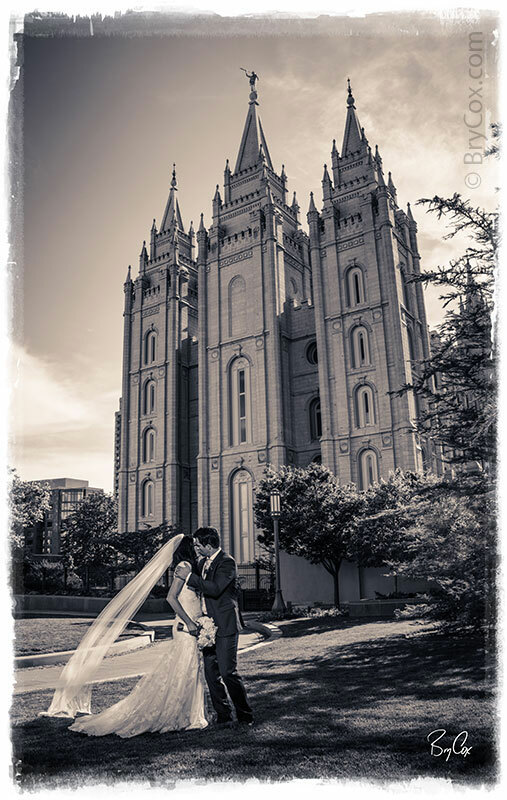 I love delivering albums! 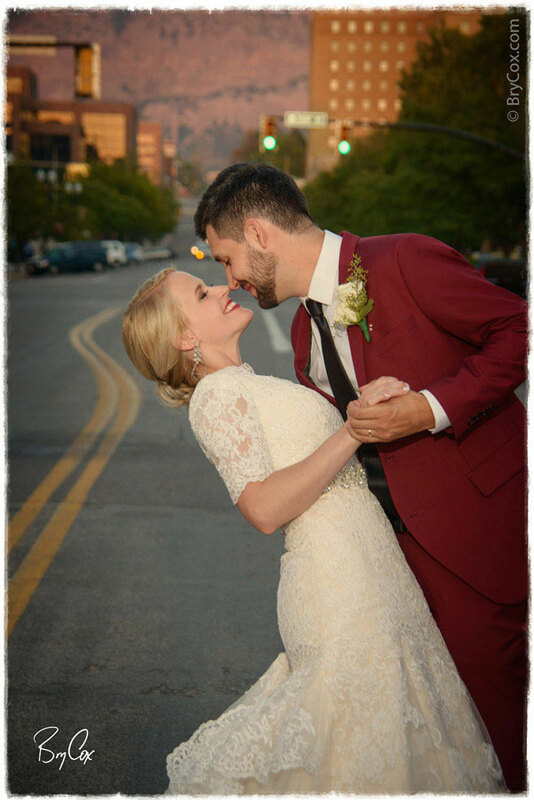 Ben and Marisa’s album was gorgeous and looked extra beautiful with its custom metal cover. 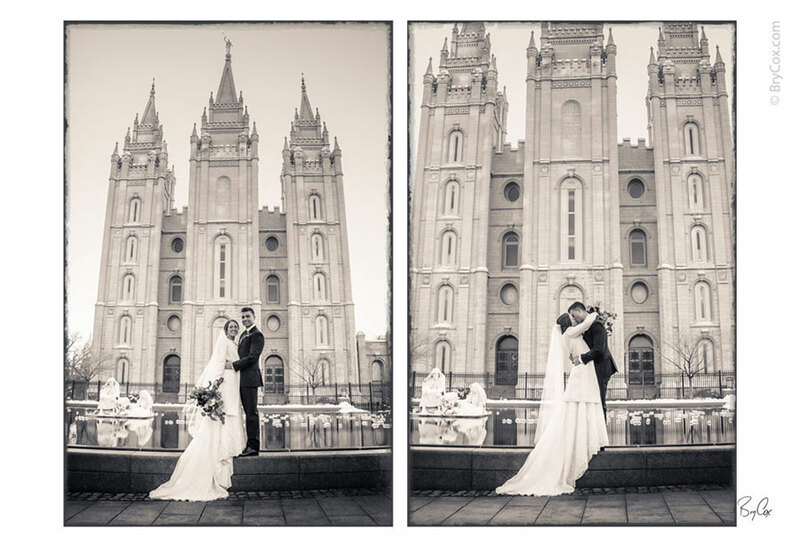 It’s hard to describe how pretty it is online, but here are some of their images. 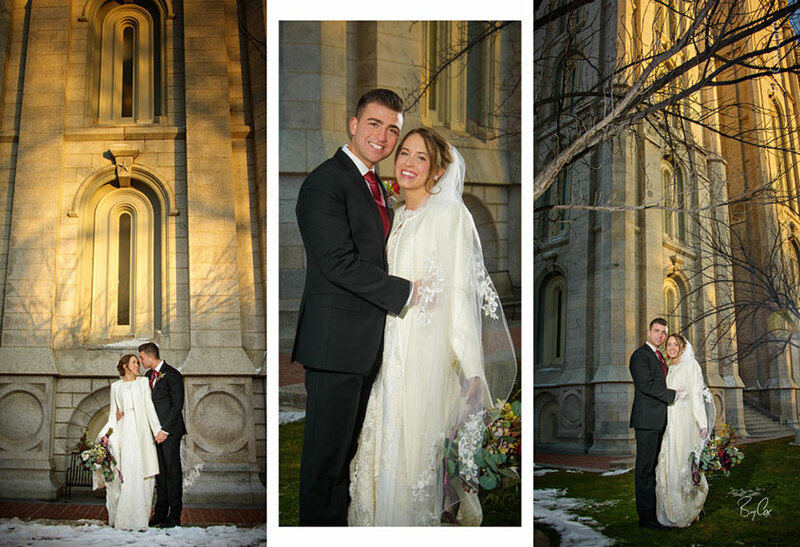 It was a cold day but the images look warm, romantic, and beautiful. 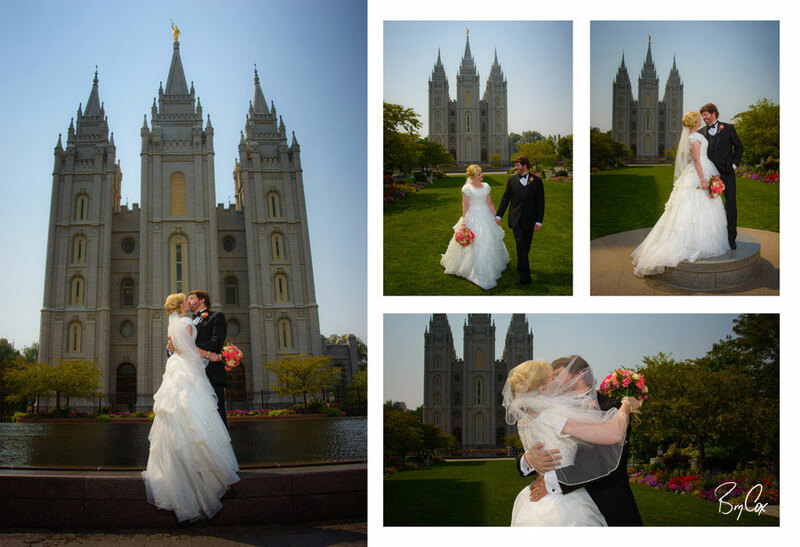 And here some of my favorite pages from their book to share. 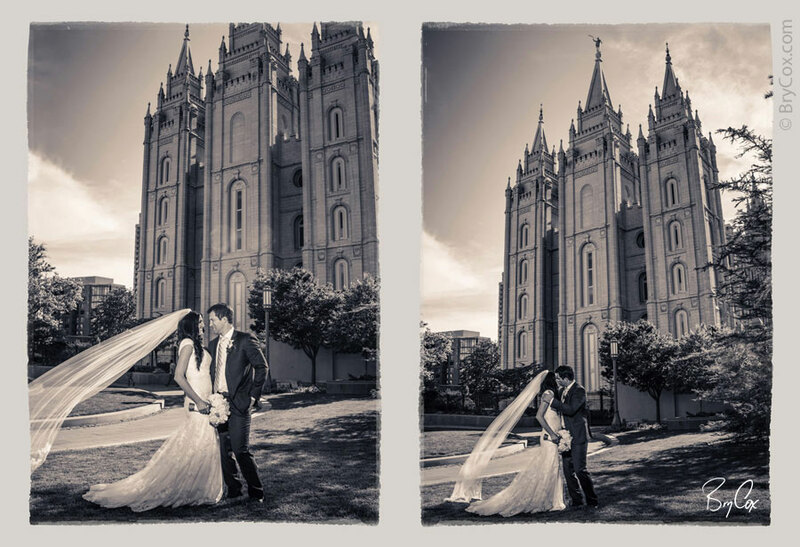 Keep in mind that these are double page spreads, folded down the middle, with each half measuring about 10×13 inches. 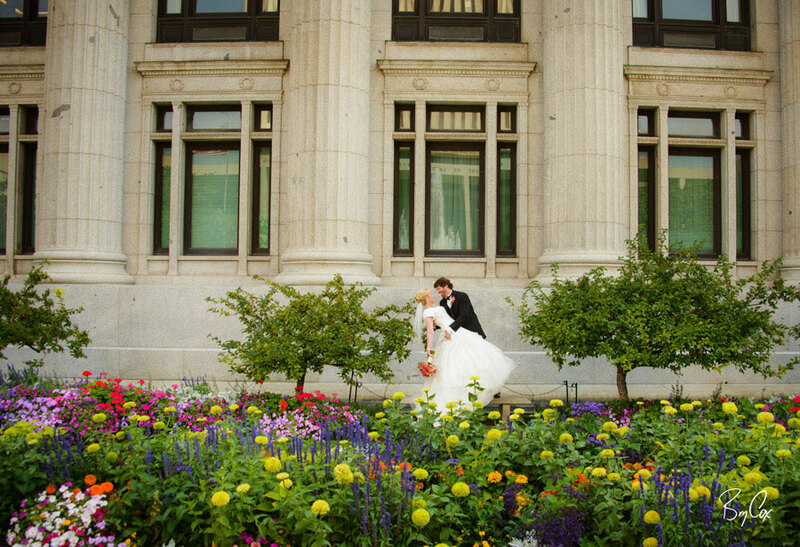 That makes for an impressive and large spread when laid open. 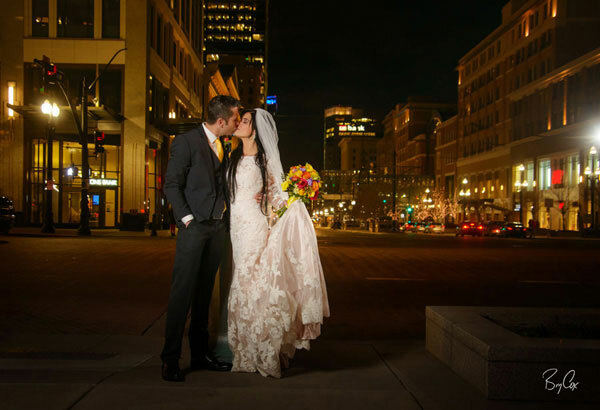 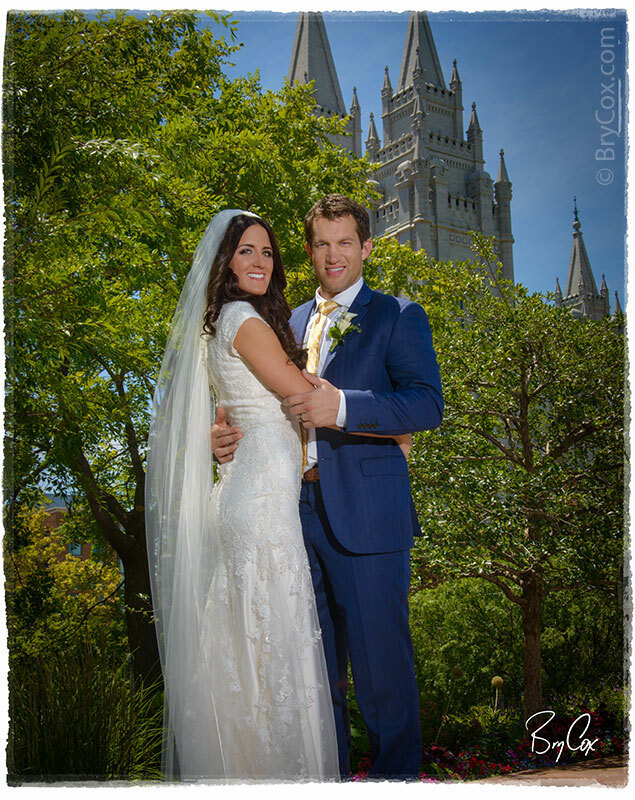 This couple has been so great to work with and they are a great couple together. 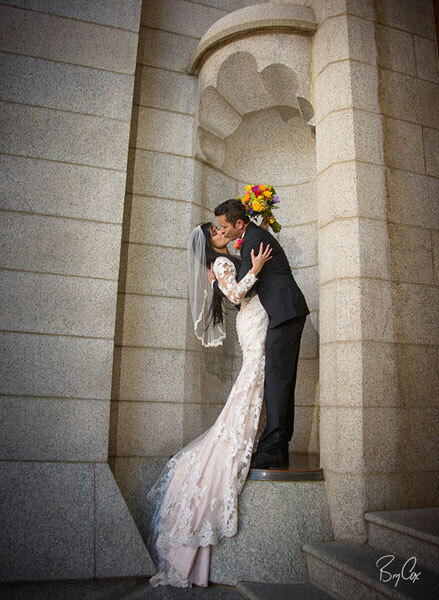 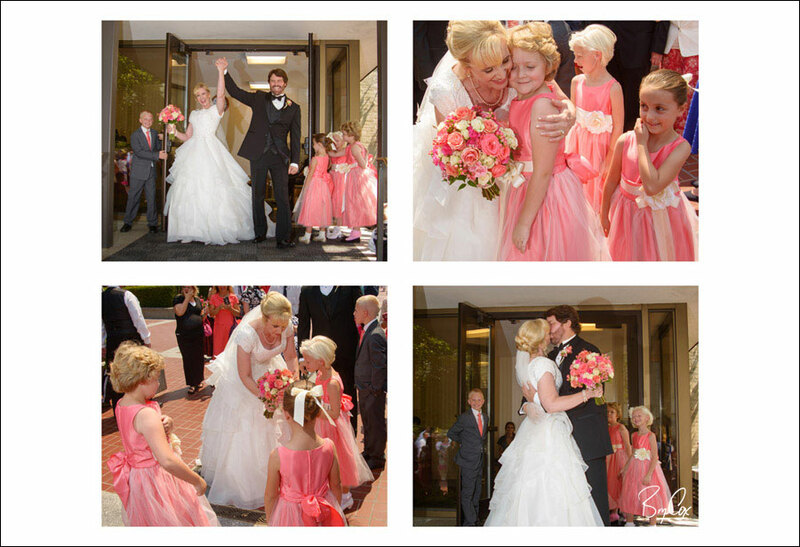 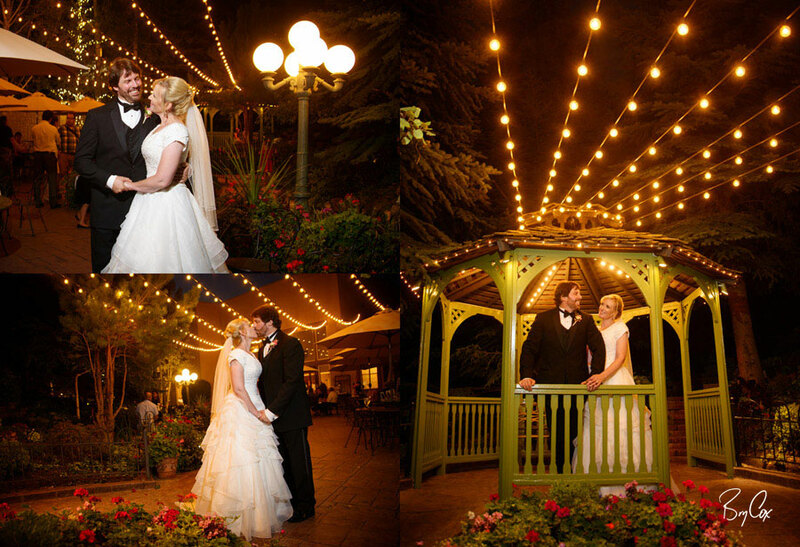 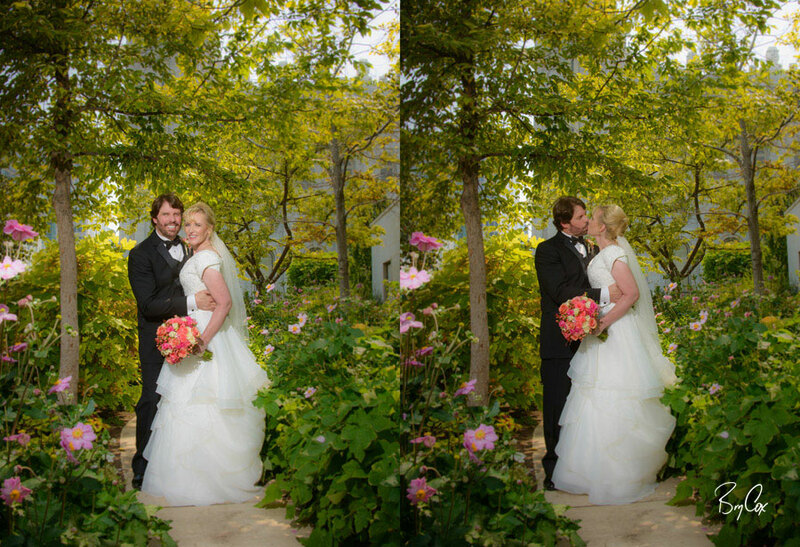 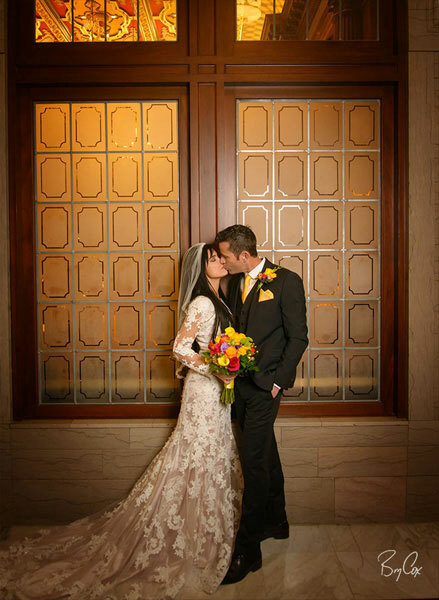 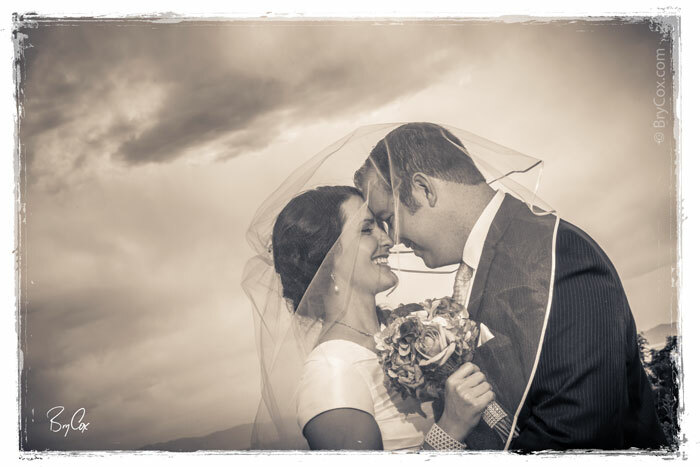 You can really see their love and excitement in these images, and it made photographing their wedding a joy. 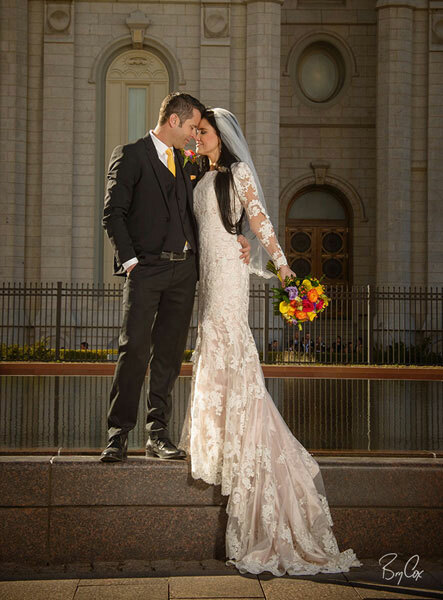 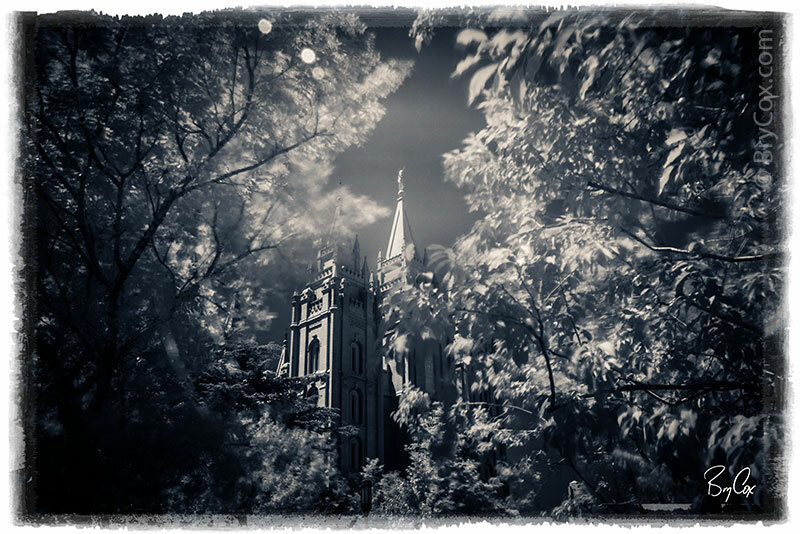 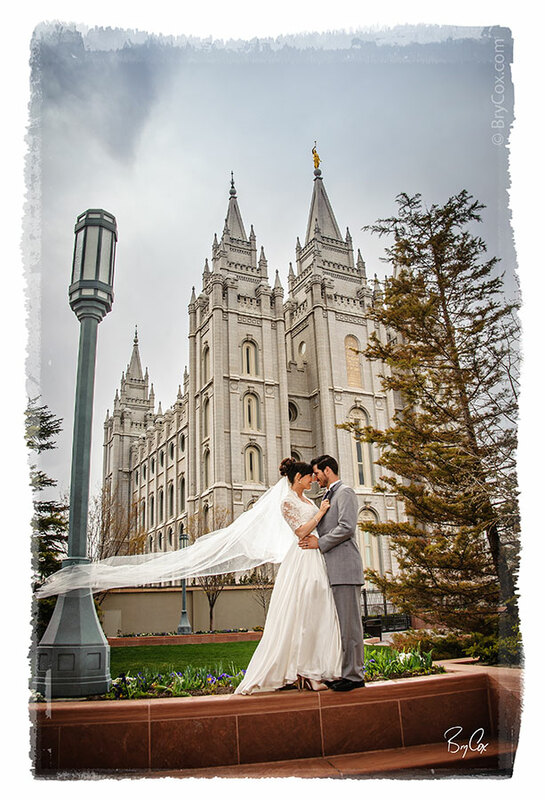 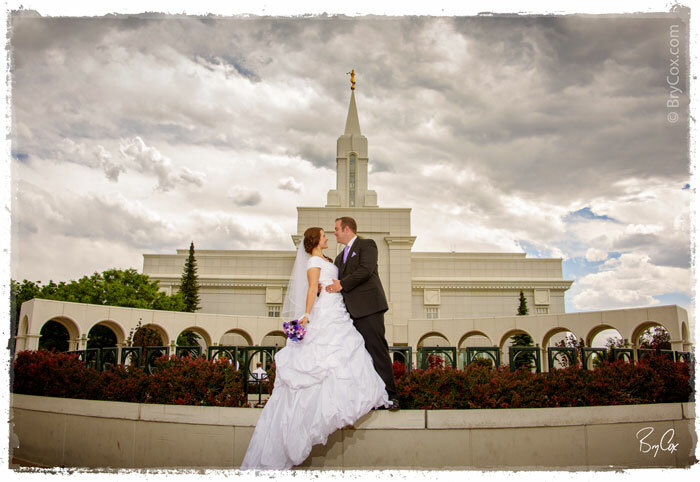 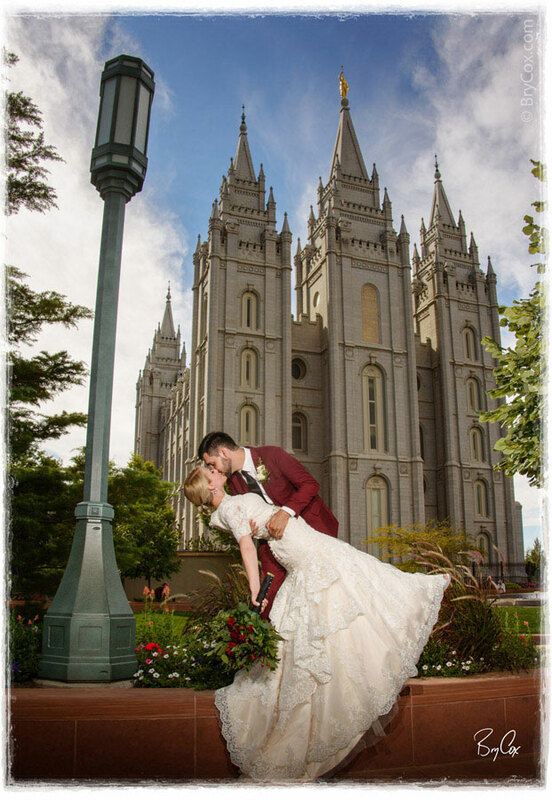 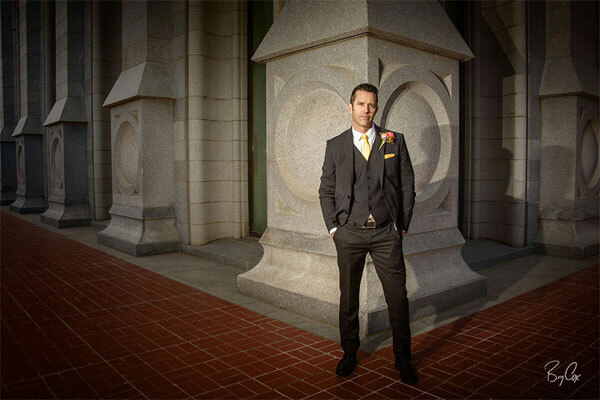 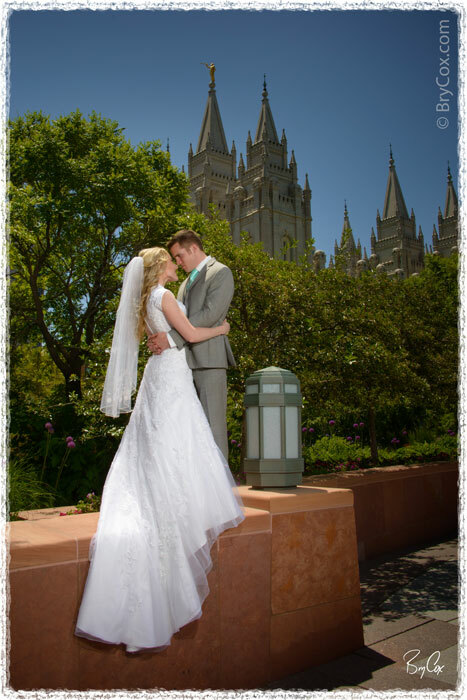 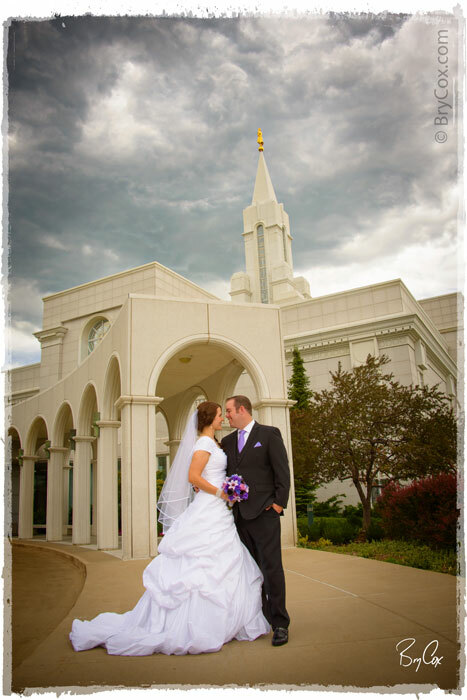 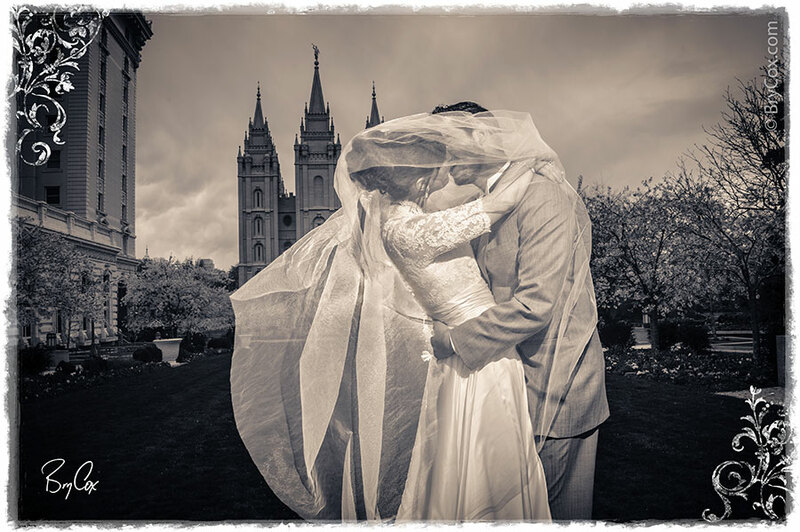 I’m one of the few Master/Craftsman photographers based in Utah, and do a lot of weddings of all faiths. 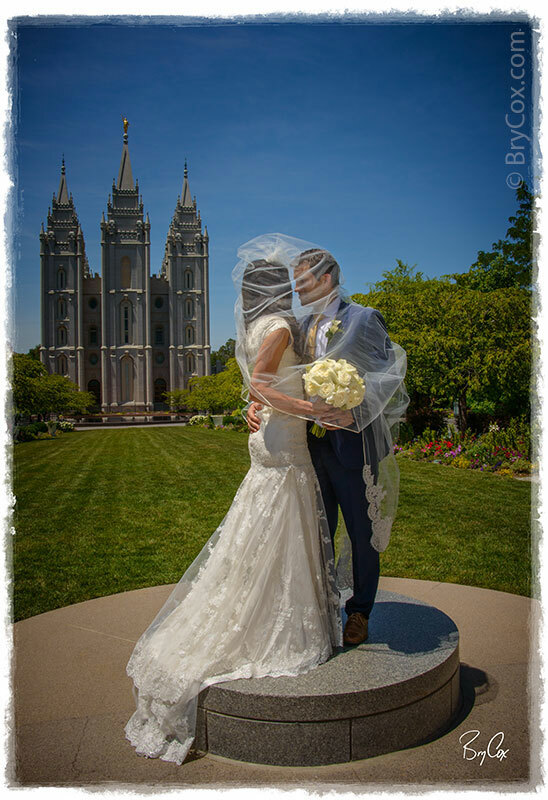 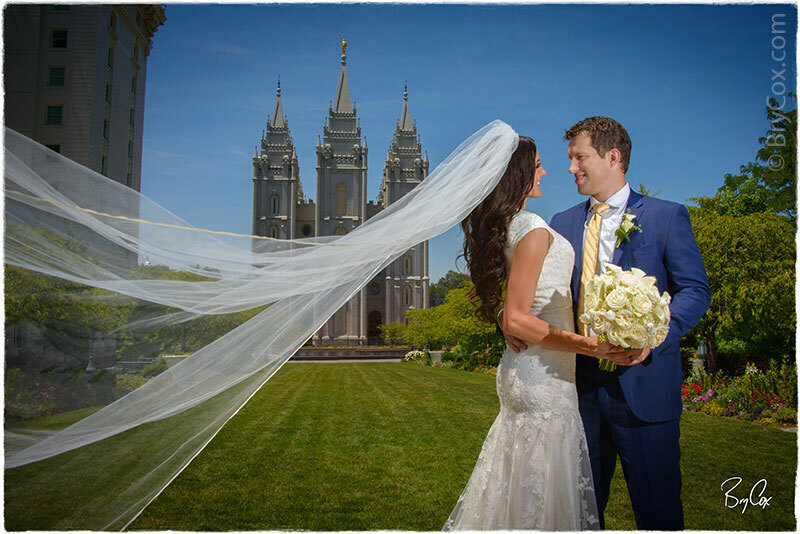 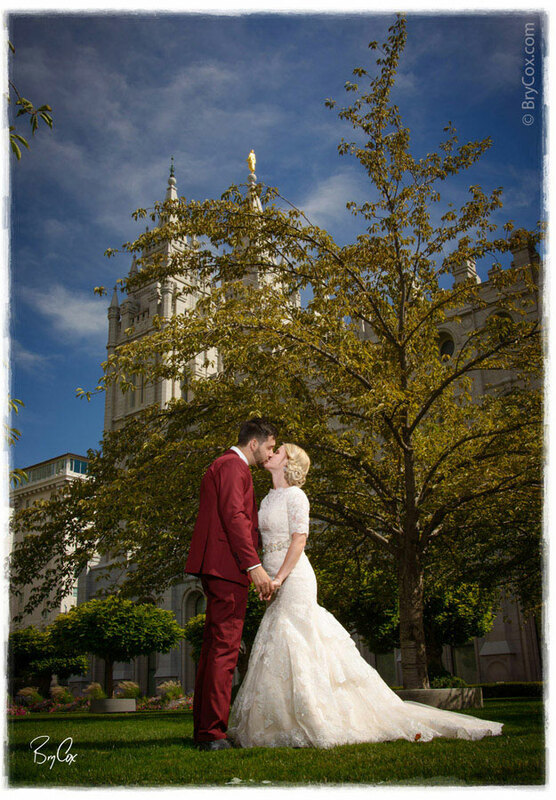 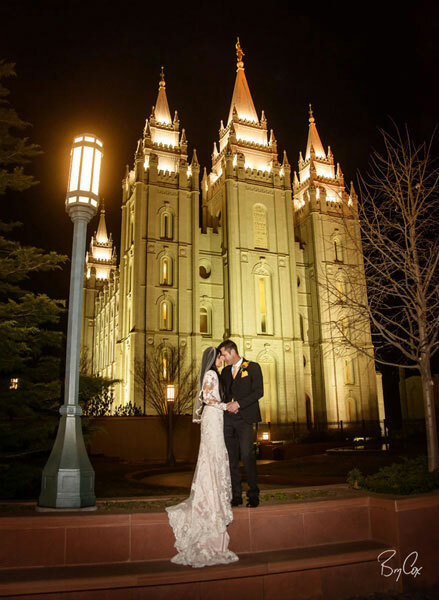 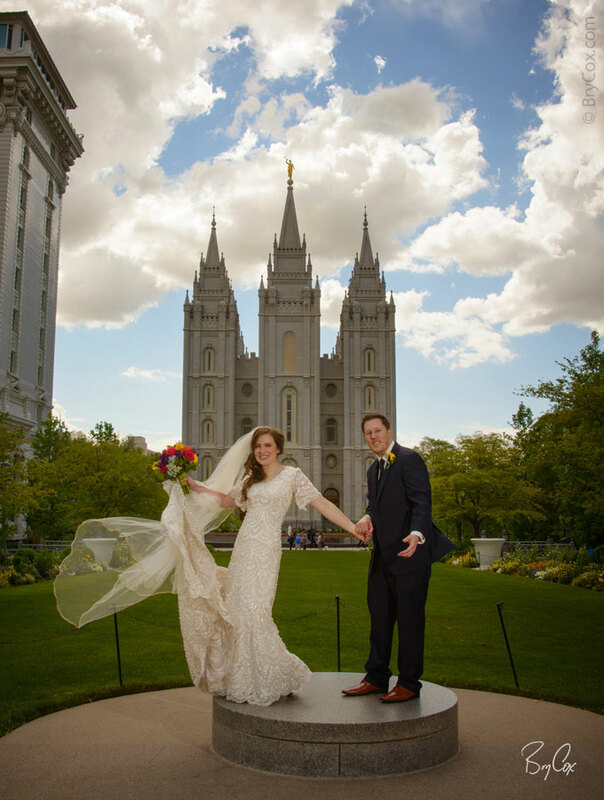 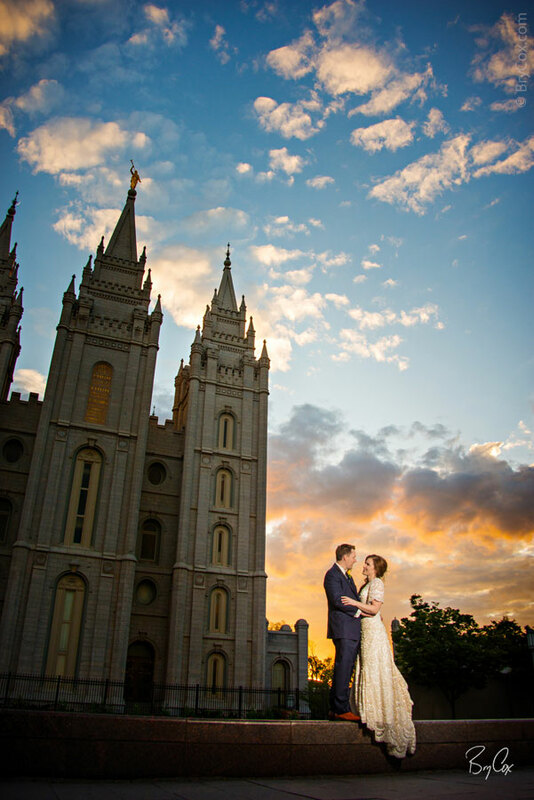 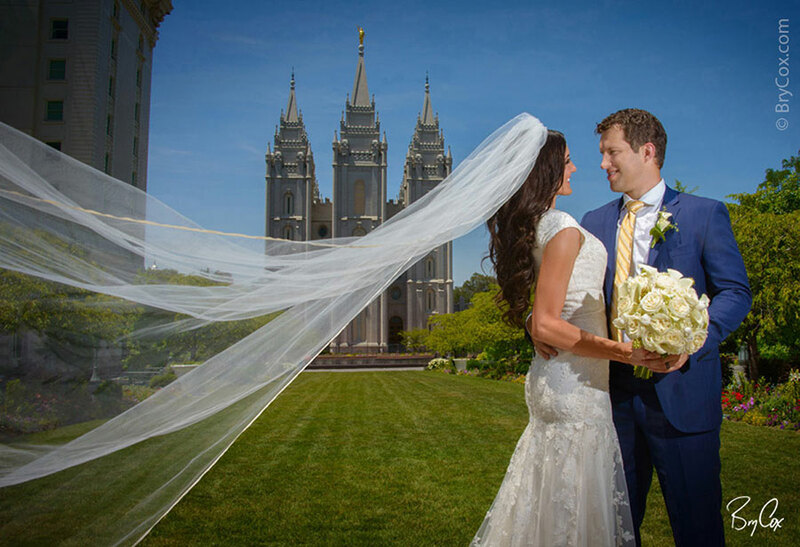 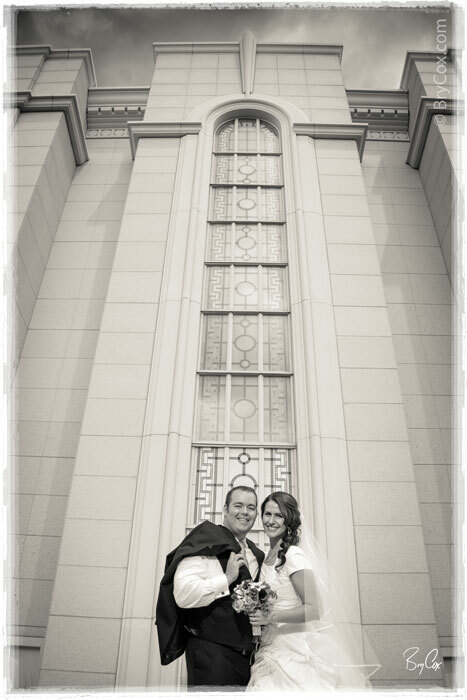 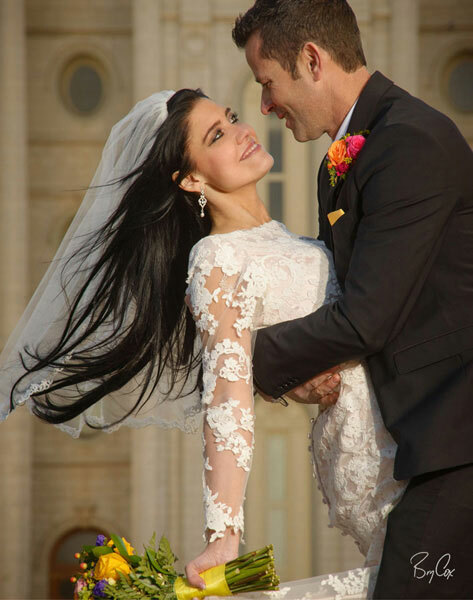 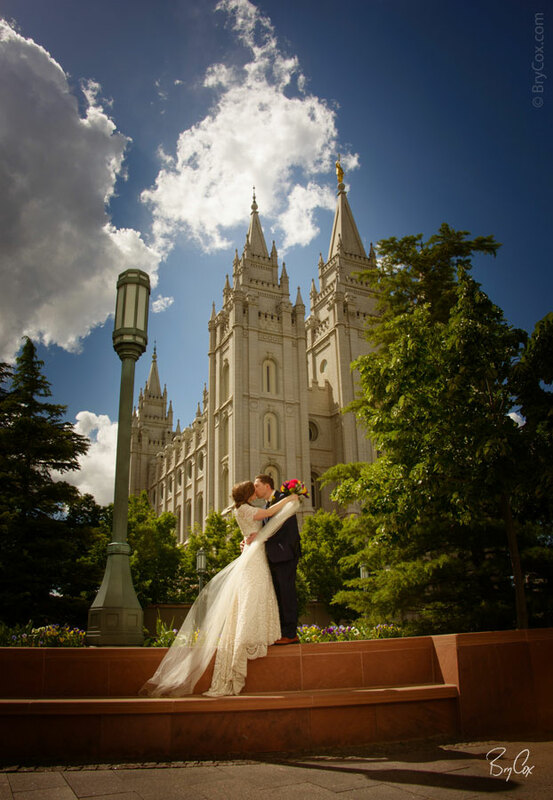 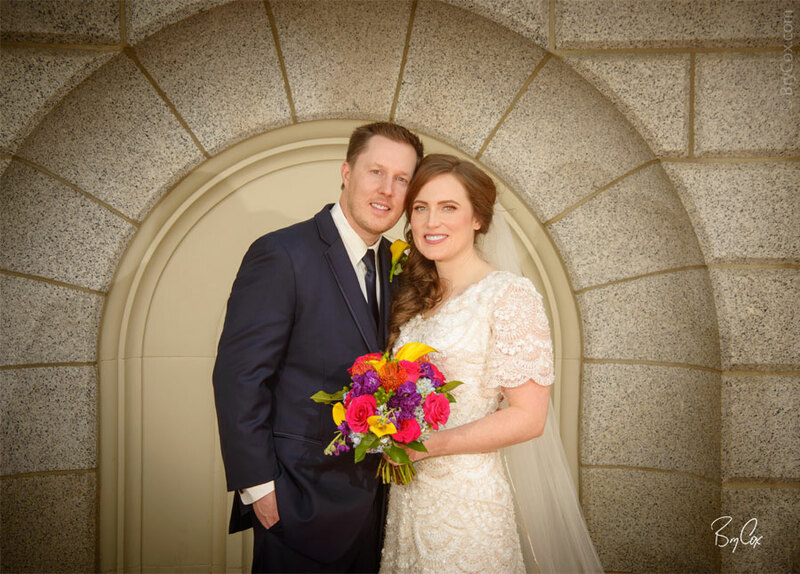 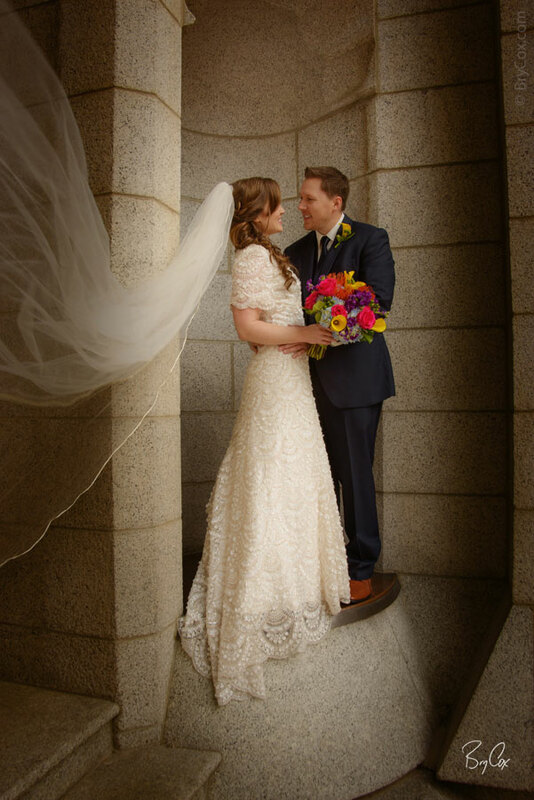 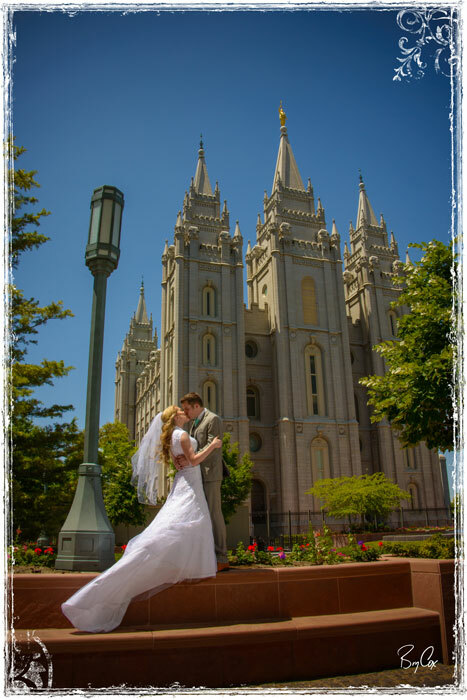 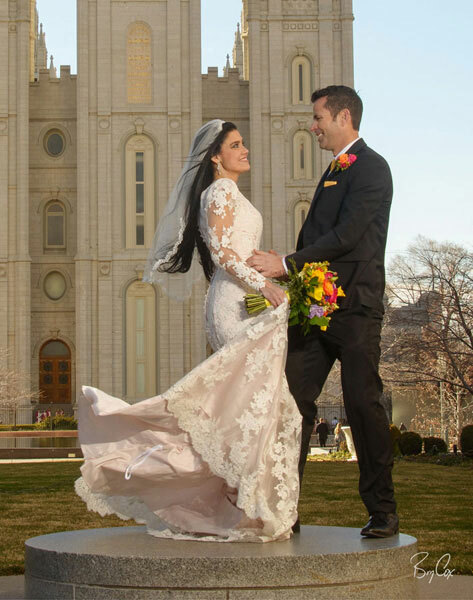 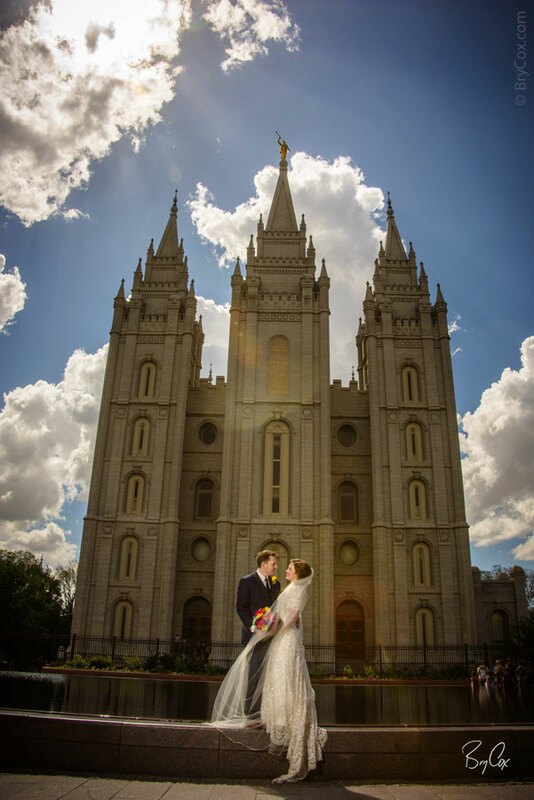 However some years most of my weddings I photograph are Mormon weddings at the LDS temple in Salt Lake City, like this one. 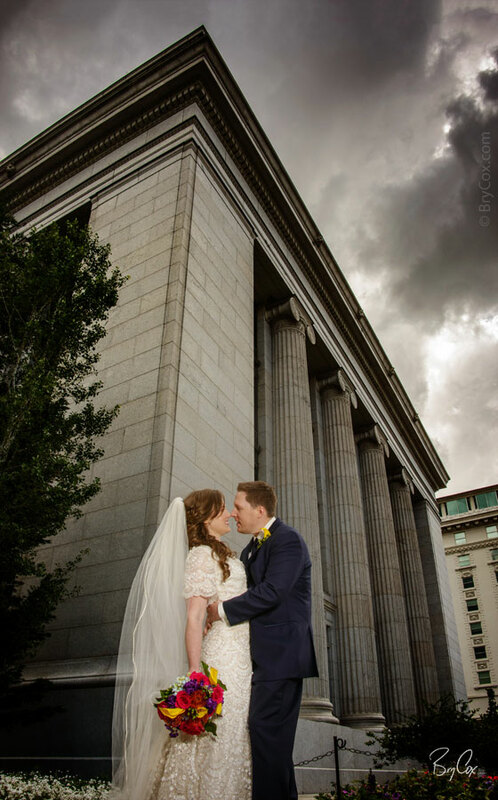 It’s a gorgeous place to shoot and I love it when there’s drama in the sky and bad weather. 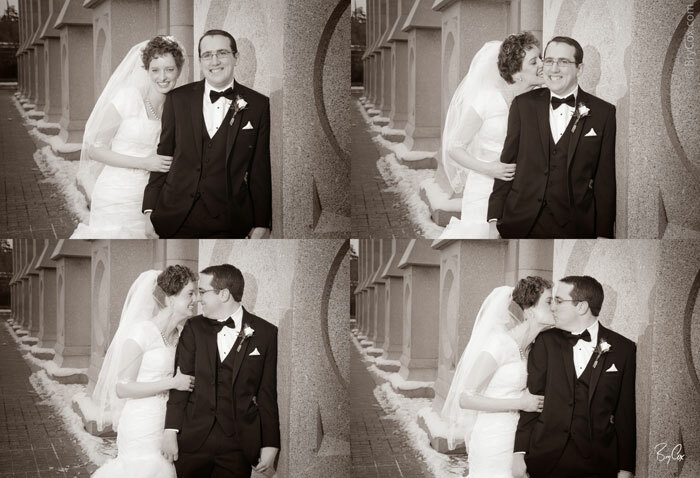 It makes for some memorable images. 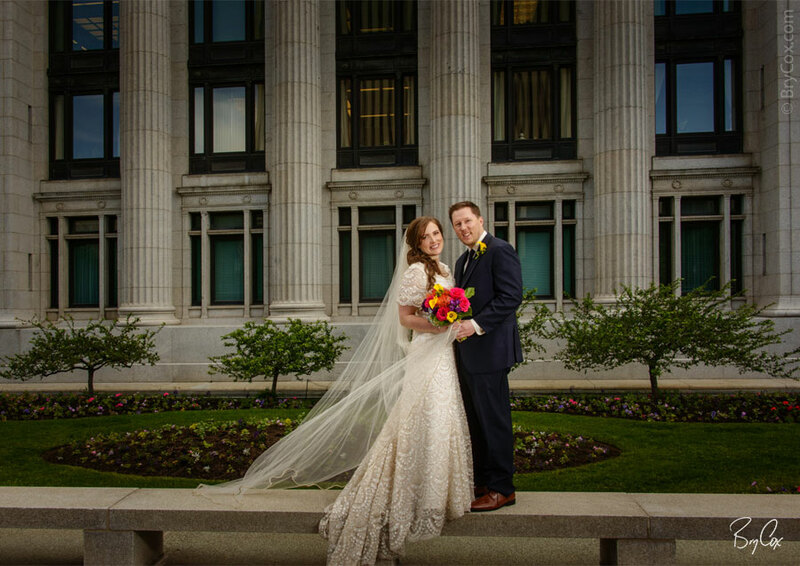 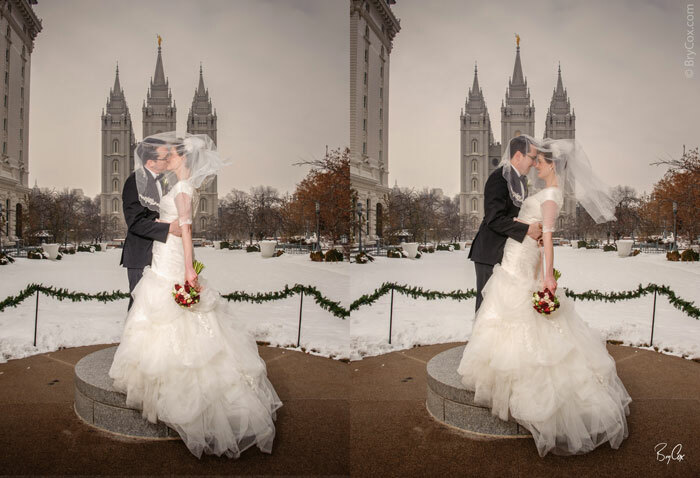 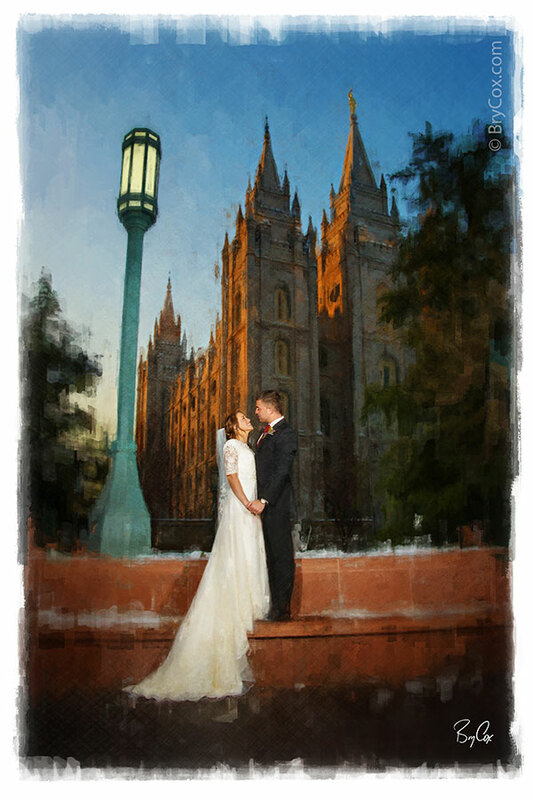 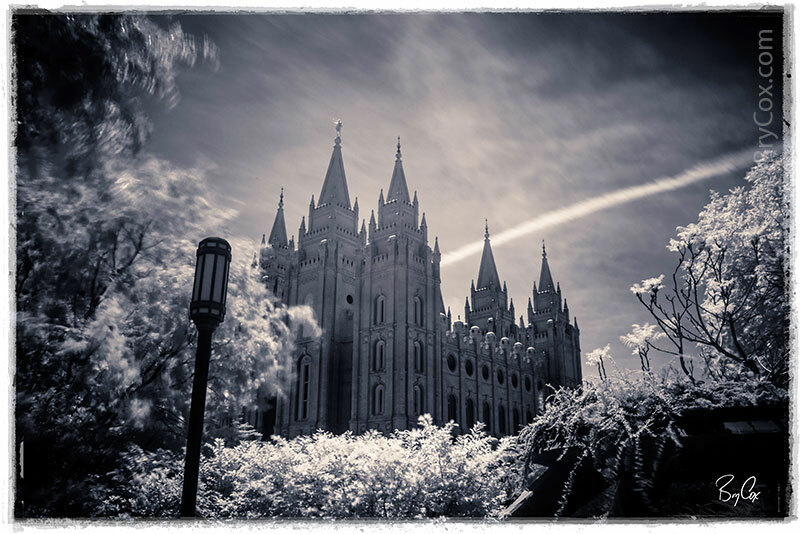 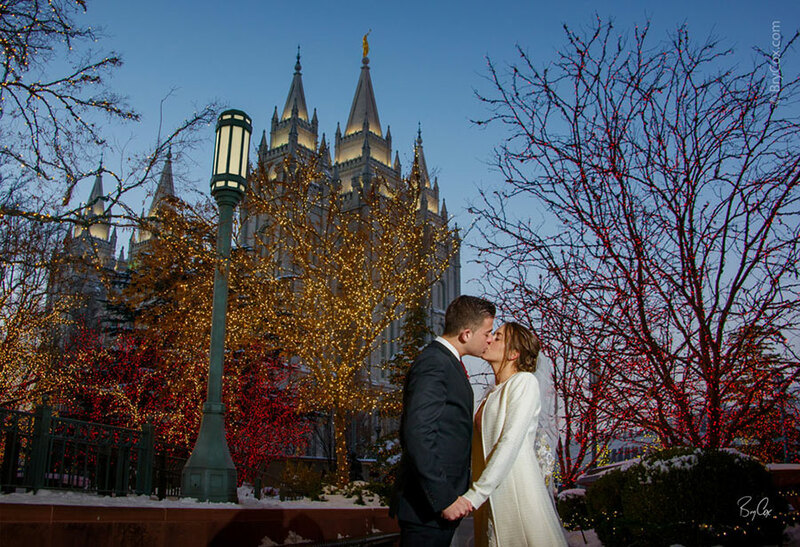 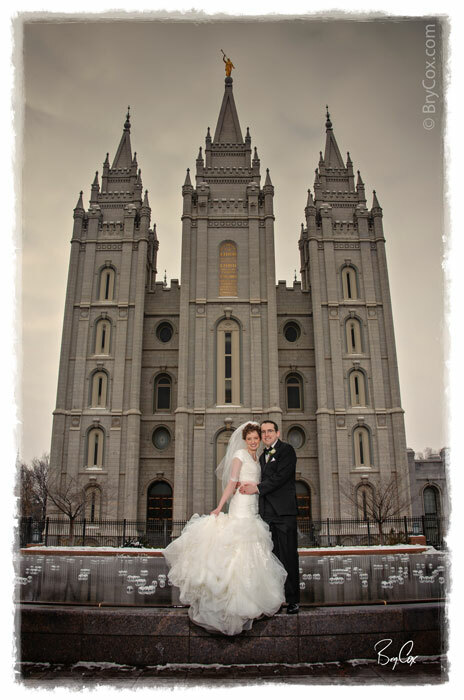 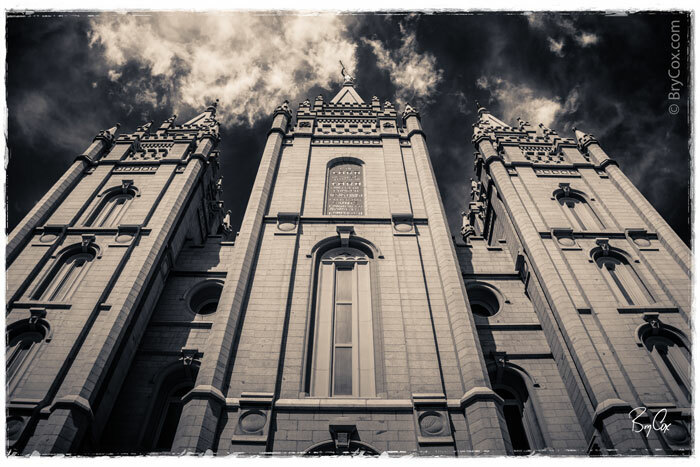 In fact the first wedding I photographed almost 20 years ago, I shot here at the Salt Lake temple on a very snowy day. 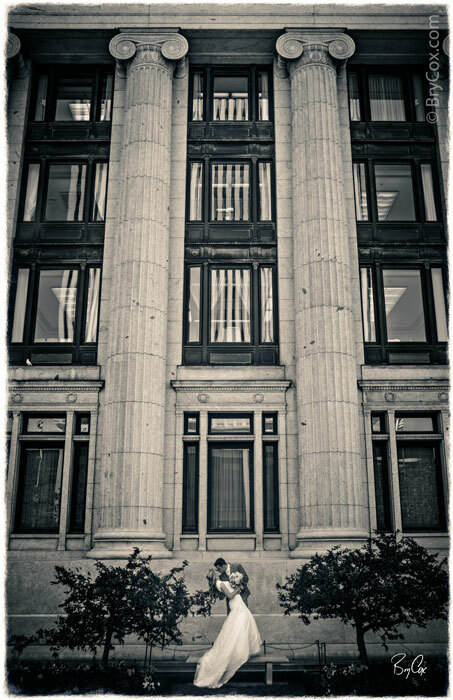 If you follow my blog, you may remember this couple’s engagement and bridal portraits, which you can see here. 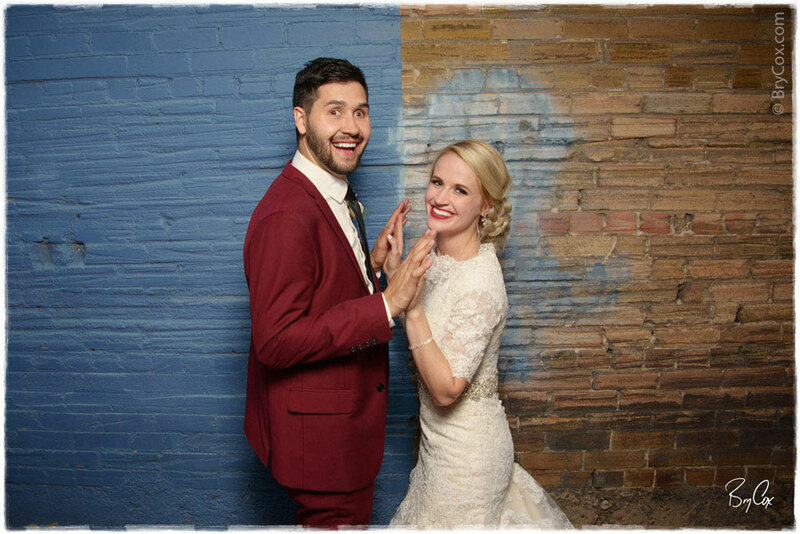 They too are gorgeous and fun. 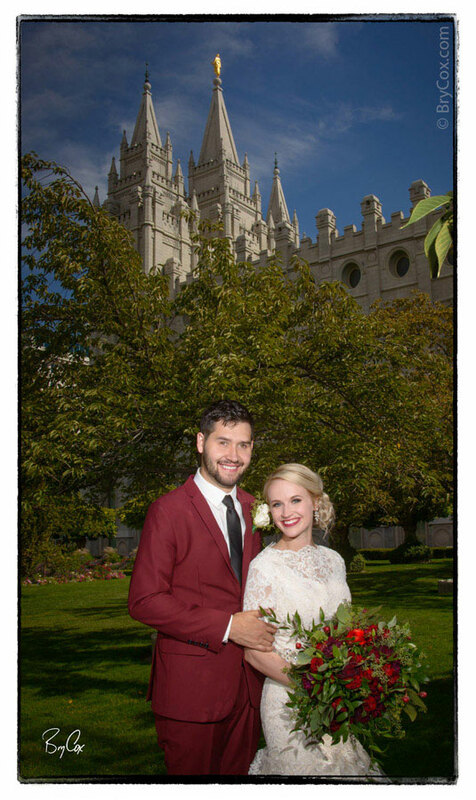 Well if you’re getting married, give me a call. 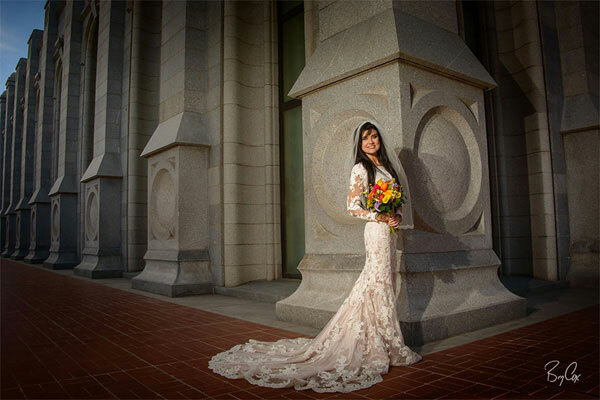 I can do your wedding, or just bridals or engagements or even everything together. 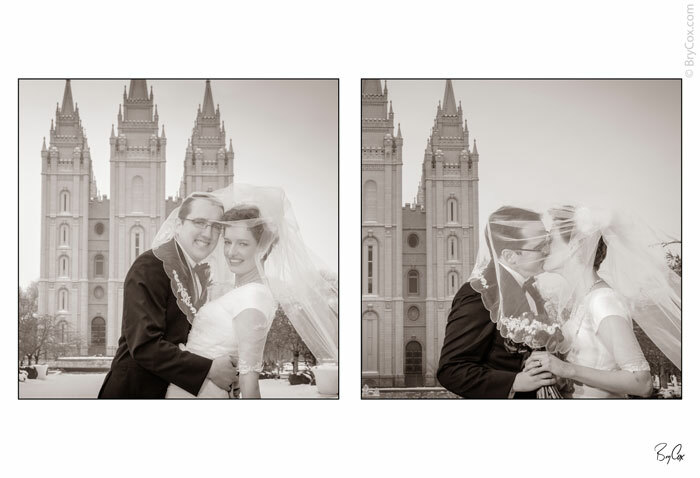 No matter what you hire me to do, you’ll know you’ll get the best portraits possible. 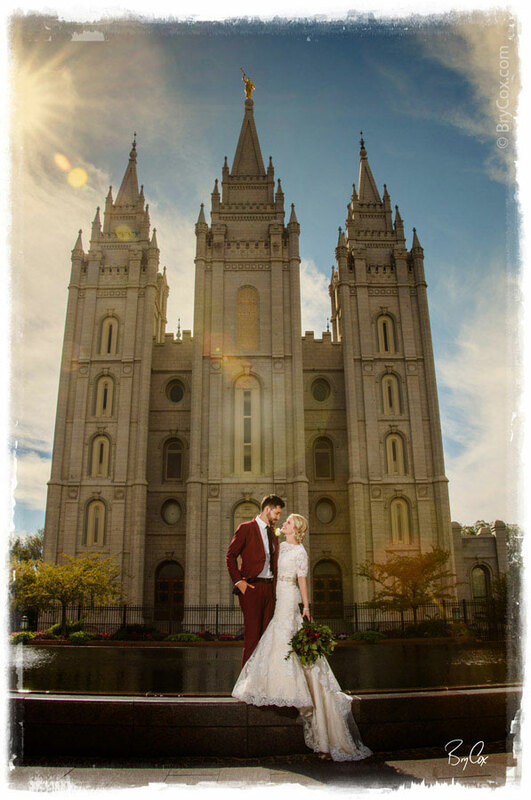 801-728-3317.